It was a chilly old night but we managed to shake down Tirso Club with some lovely winter warmers on Tuesday at Come Wine With Us BA. What you drank: Come Wine With Us July 2016. Blends was the theme, one white, one bubbly and five reds. The biggest hit of the evening was the mysterious Montaña red blend (we have no idea what’s in it and neither do they) by TajúnGapul (backslang for junta pulga or mutt), our first sellout. Snap this up for 250 pesos – email me for details. Another ace red liquid hug this winter is Bodega Norton’s Quorum III and I love the ingenuity behind this tri-varietal, tri-vintage bad boy. What does that mean? Malbec harvested in 2007, Tannat harvested in 2010, Petit Verdot harvested in 2011 – all in one bottle. That dexterity led to winemaker Jorge Riccitelli being named one of Decanter‘s top 30 enologists in the world in 2015. Also 250 pesos. Come Wine With Us‘s only white of the night was Bacán’s Sauvignon Blanc/Chardonnay/Torrontés 2015 from La Giostra del Vino. A splendid crunchy white from Italian winemaking stallion Giuseppe Franceschini – also known for his glorious work at Caelum and more recently for sommelier Mariana Onofri‘s side project. From Alamcén Otamendi in Caballito, 220 pesos. If you’re suffering through this beastly winter, rest assured the vines that made you this wine have been through far worse. La Poderosa Cabernet Franc/Merlot 2015 comes Bodega Del Fin Del Mundo in San Patricio del Chañar, Neuquén province, where furs coats are the order of the day most days *if* they were socially appropriate – current daytime temperature 3ºC. Fresh and fruity, easy-drinking, it’s also cool to drink Cab Franc these days so hitch on to that wagon, plus it’s a bargain at 150 pesos. La Poderosa’s Extra Brut also put in a star turn come midnight for Día del Amigo so cheers to you and that! A new Pinot Noir Chardonnay charmat method fizz that launched earlier this year, this retails in supermarkets for around 130 pesos, a bubbly bargain. From all good supermarkets. Keeping it in the Cabernet family was Bodega Paiman’s Keo Cab Franc/Cab Sauv 2014 from Valle de Chañarmuyo in La Rioja, Argentina’s second-biggest wine producing province. That’s right folks, we had quite the geographical spread within Blends Night, north and south. 170 pesos also from Alamcén Otamendi in Caballito. Foodie winos also raved about Bien Con Vino’s Carnes Rojas 2014, a sultry Cabernet Franc/Malbec blend designed by sommeliers Mariana Achaval and Valeria Mortara and handled by Monteviejo’s Marcelo Pelleriti. We paired it with skirt steak but it would do equally well with a T-bone. 270 pesos from Aldo’s Vinoteca. 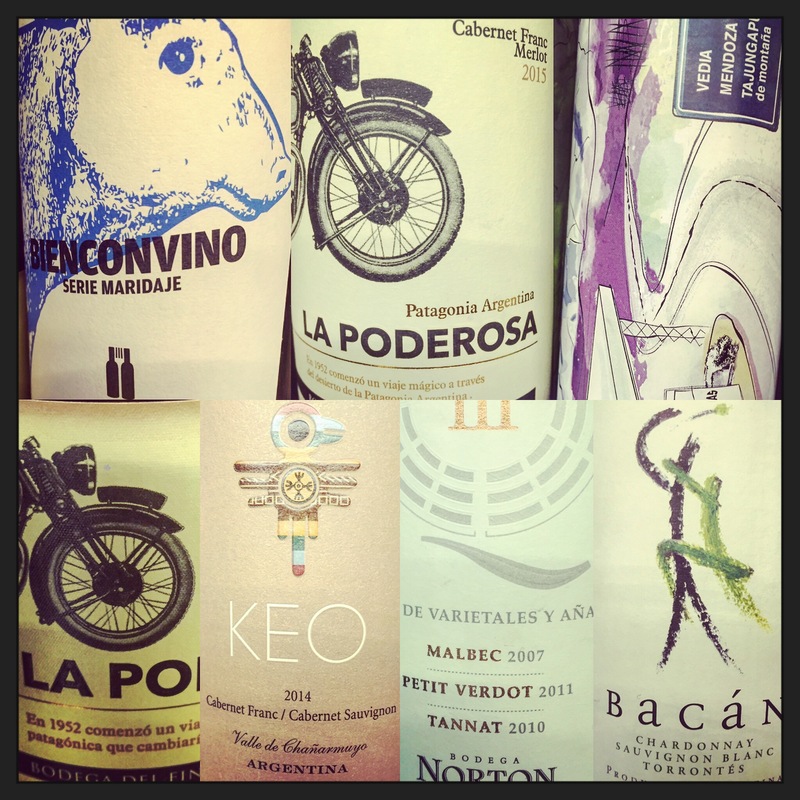 That’s it for July’s #ComeWineWithUs but we’ll be back in August with new wines to sample. Salú!